WASHINGTON (AP) — President Donald Trump and Democratic lawmakers are in a standoff over funding the government, and the main sticking point is Trump’s demand for $5 billion to build a wall along the U.S.-Mexico border. Trump said during the campaign he was going to make Mexico pay for the barrier — but now he’s asking U.S. taxpayers to fund construction. If there’s no agreement, a partial government shutdown begins at midnight Friday. Here’s a look at the status of wall. In Washington, it depends on who you ask. The president, seeking to show progress on one of his signature campaign promises, has repeatedly said he’s begun construction on the wall with smaller amounts of money that Congress approved for border security. The Democrats, seeking to prove they haven’t caved to Trump, say they would only fund improvements to border security that include fencing. Customs and Border Protection Commissioner Kevin McAleenan called it a “border wall system” with Mexico that would include natural barriers and steel fencing that agents can see through. It included $641 million for 33 miles of construction in South Texas’ Rio Grande Valley, the busiest area for illegal crossings. In one section, U.S. Customs and Border Protection wants to install 18-foot-tall bollards with narrow spacing between each post. According to an online solicitation, the agency plans to install the bollards atop “a concrete wall to the approximate height of the levee crest.” In some places, the wall and the bollards would exceed 30 feet. In budget year 2017, Congress provided $292 million to the U.S. Department of Homeland Security to build a steel-bollard wall to replace “ineffective” barrier in Southern California, New Mexico and far West Texas. Several groups have filed lawsuits challenging the administration’s waivers of environmental laws to build more quickly. 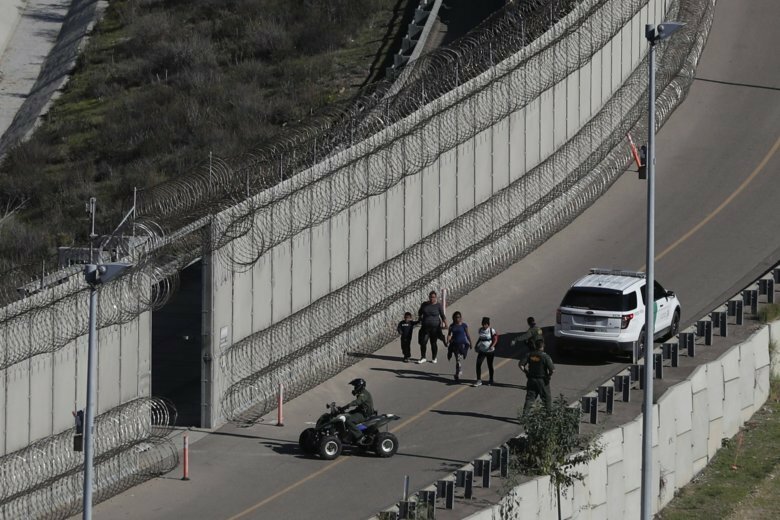 Homeland Security officials said they would combine previous funding to construct 330 miles of a “border-wall system” along the Mexican border, including 104 miles in the Rio Grande Valley. She said there were “a number of different funding sources” that could be used, and she expected they could find a legal way to use defense money.